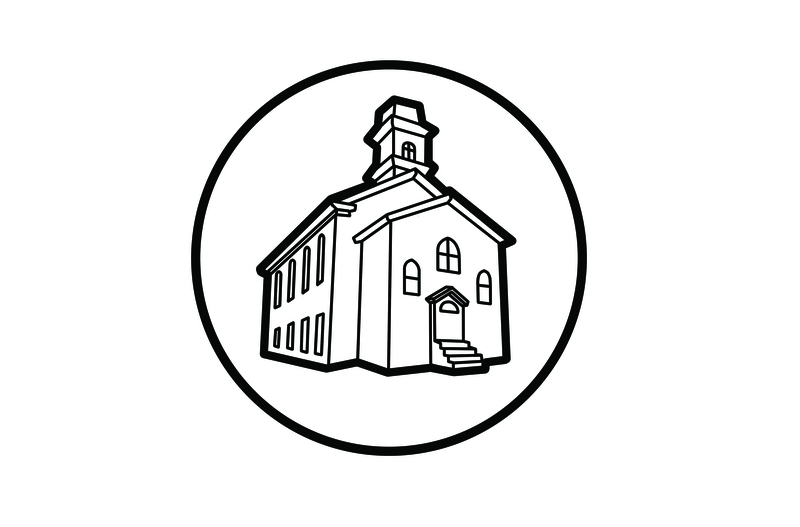 The Computer Church: The Kitchen Computer. The "Kitchen Computer" is a unique oddity in the history of computing. The famed Neiman-Marcus Christmas catalog made it a practice to offer eye-catching (and wallet-busting) presents that were extravagant and unusual. In 1969 catalog, Neiman-Marcus decided to feature a computer! 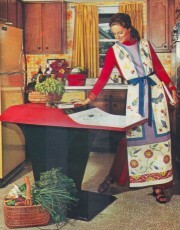 It would be a computer that the lady of the house could use to store recipes and, so, it became commonly known as the "Kitchen Computer". And not just any computer (well, there were not a lot of options in 1969 and this wasn't just any catalog), they chose the Honeywell 316. 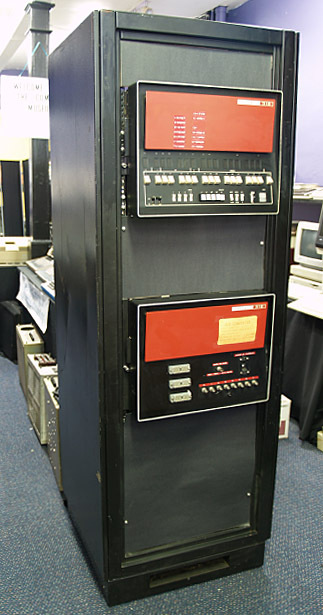 This computer and it's bigger brother, the Honeywell 516, were the computers used in the very first tests of the Internet. (Coincidentally, the Internet was created in the same year, 1969...but it was a top secret government project at that time. The Honeywell 315 and 516 were used as the "Interface Message Processors" or IMPS.) It probably helped that Neiman-Marcus already used Honeywell computers to manage their stores. The Honeywell 316, like the computers of its time, was a big, boxy, ugly monstrosity that would not look good in an affluent home. (See picture of how the normal 316 looked) So Neiman-Marcus decided to re-design the computer. Instead of the ugly box, the woman of the house would be getting a sleek red and white computer on a black pedestal. It even included a built in cutting board (the white shelf in the front). This has to be ranked among the most impractical accessories in computer history..."Careful dear, don't get any of those little bones in the computer when you're preparing the fish." Some articles claim that the whole Kitchen Computer offer was too impractical to be a serious offer. They suggest it was a publicity stunt and that Neiman-Marcus never intended to sell any computers. However, the Neiman-Marcus Christmas catalog was famous for its impractical and outlandish gifts...and the rich bought them. In the 1968 catalog, Neiman-Marcus offered a pair of Jaguars: a Jaguar XKE Grand Touring Coupe for Him and a Jaguar Coat for Her ($5,559 & $5,975 respectively). Three pairs were sold. In their 1962 catalog, they offered a genuine Chinese junk for $11,500. It had been made in Hong Kong, was 30 feet long with teak decks, mahogany planking and sails. Three people bought the Chinese junk. One can never underestimate how the very rich choose to spend their money. As Edward Marcus said, "no hostess can claim to have the 'mostest' unless she has this marvelous mini-computer to help her plan menus for her family and for dinner guests". 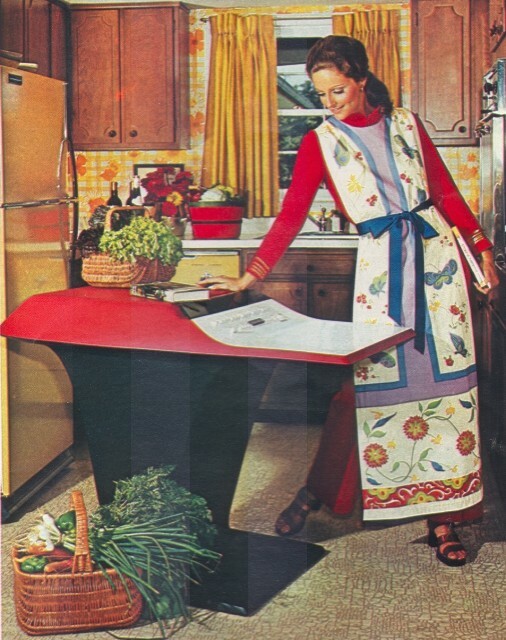 In fact, the Kitchen Computer wasn't the most outlandish offering in the 1969 catalog. That honor would have to go to the tank truck filled with a 100,000 gallons of Aramis men's cologne. The cost for that gift was $5,000,000 and you had to wait until February for delivery! As far as we know, not one Kitchen Computer was ever sold. The only existing model is currently on display in the Computer History Museum in Mountain View, CA. 1 From the official press release for the 1969 Neiman-Marcus Christmas catalog. 2 See Honeywell's website for more information.